It is true that marble is commonly multi-colored, but since there are two opposing teams represented by different colors, a marble chess set needs to have different colors for each side. Here we try to present different marble chess. Combining the idea of luxurious marble and the elegance of wood, we craft this special chess piece. This is one of our product that has polished in marble motive. This chess pieces is moist in color and detail, strong, and artistic. 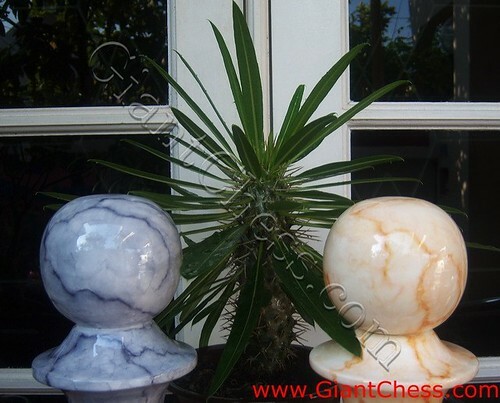 On the other hand, this marble giant chess pieces have made of best quality of Teak wood. It is highly recommended for those who fancy marble furniture but want affordable price. It can be used for outdoor and indoor decor and it can actually become a permanent fixture on your porch or patio.